Well, I will start off this article by saying that I didn’t quite do as well as I would have liked, going a mere 3-3. I played a rogue Big Basics deck for the tournament, and things just weren’t going my way all day long with the deck. However, a Senior division player, Dema Boatman, also played the deck, and he ended up finishing 2nd place with the deck to finish wrapping up his World Championship invite, so congratulations to him. I will start off by saying, this was one of my deck creations that I was most excited about before a tournament. I thought it had the potential to be a really good play for the tournament, as it had a lot of muscle power, and it lacked many unwinnable type matchups, with Status Lock being the key exception. I took the idea for the deck from the Virizion EX/Mewtwo EX decks that were being played around Fall Regionals, which was to Accelerate Energy, and then just hammer away at your opponent. 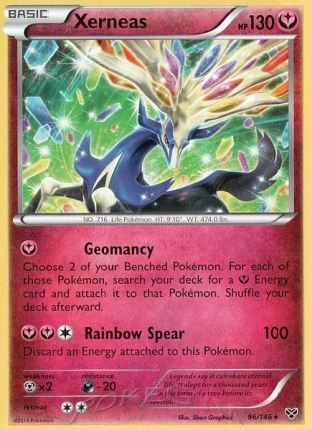 Xerneas fit in nicely, with its Geomancy attack just taking one [Y] and it accelerates two [Y] Energy to two of your benched Pokemon. After one Geomancy, you can attack with all of the Pokemon in the deck if you can get a DCE attachment, which I think was strong, as it gave the deck decent speed. Getting off two Geomancy gave you enough Energy to attack with for the rest of the game. 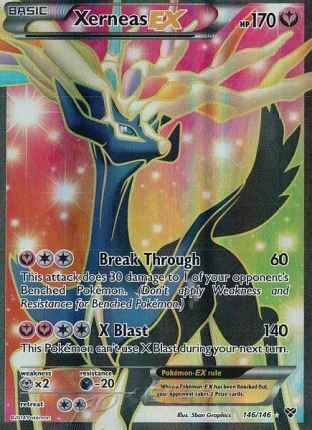 Xerneas EX was the main attacker, as with Muscle Band you can get up to 160 damage with X-Blast, and with Hypnotoxic Laser and Virbank City Gym, you could reach damage numbers that would knock out any EX in the game, save for the Mega Pokemon. 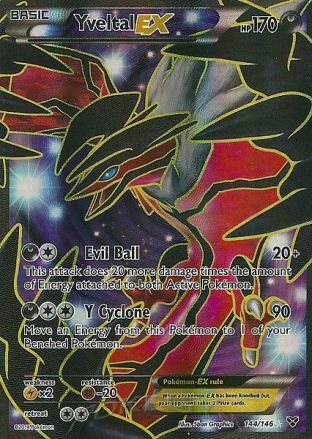 Yveltal EX was the secondary attacker for the deck, as it has an unlimited damage cap, and could be setup with Dark Patch, allowing you to attach Double Colorless to it in the same turn, allowing you to get a lot of damage out of Evil Ball really quickly. With Lasers and Muscle Band, that damage output only increased. I also put in a Mewtwo EX as it gave the deck an attacker that could attack for a single attachment, and it also served well for trading with Deoxys EX in the Plasma matchup. Bouffalant was also put in, as it can OHKO 170 HP EX’s with Muscle Band and Hypnotoxic Laser, which is good for the Emboar and Plasma matchups. 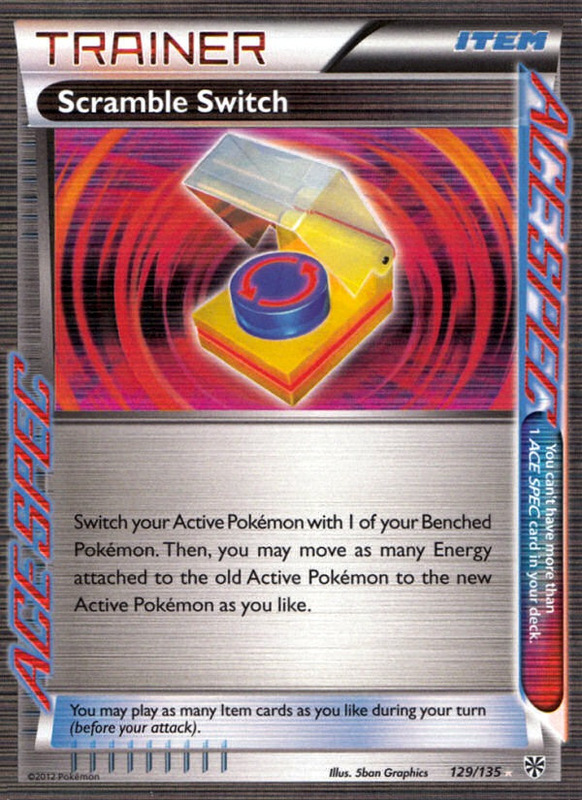 Scramble Switch gave the deck the Ability to power up almost any attack out of nowhere, and was also great for sweeping with a giant Yveltal EX. I decided against playing Aromatisse as if you put your Energy in the right place the first time, then you shouldn’t have too much issue with where your Energy was at. I felt it was best to go for a more attacking version of the deck then a healing deck, because I felt too much stuff just OHKO’d your Pokemon anyhow. Additionally, with just a 1-1 line and only Ultra Ball, it was a bit clunky to setup, but it certainly is strong and isn’t a bad inclusion in the deck. We ended up with 48 Masters Division Players, which made for a 6 Round tournament with a cut to a Top 8. This sadly ended up being my best match of the day. I get Xerneas going and accelerating Energy to attackers. I played an N on turn one, and then didn’t see another Supporter for almost the rest of the game though, which really hurt. I caught a break though when my opponent forgot about Xerneas EX’s resistance to Darkness, and miscalculated the Evil Ball, leaving my Xerneas EX at only 160 damage, which gave me new life in the game. The game ended up coming down to a situation where I had to Hypnotoxic Laser, and hope for his Yveltal EX to keep staying asleep. I finally have Supporters to go with, and the Yveltal EX stays asleep for a full turn, giving me a chance. I get Mewtwo EX Active, and only need one of the two DCE’s remaining in my deck. I have Colress for 8, and Juniper for 7, and decide to go with the Juniper as the Colress would have put more cards back in my deck, lessening my probability of drawing the DCE. I whiff. His Yveltal EX wakes up, and he is able to Night Spear and snipe my damaged Xerneas with 120 on it for game. The Yveltal EX would have been knocked out from poison going back into his turn if it hadn’t waken up. Time is called in game 2 when we both have six prizes left. I probably should have scooped in Game 1 after I didn’t draw a Supporter for so long, but I never felt I was out of the game, and it did end up being really close. I start Supporterless, but I have Double Colorless and Darkness Energy in hand, going first, and start double Yveltal EX. I’m able to Ultra Ball for another Pokemon (I think I got Xerneas), and put a Dark in the discard, and Dark Patched, and then attached another Dark to the active. On my turn 2, I attached a Double Colorless and just started taking knockouts with Evil Ball and just ran away with the game. In game 2, she got a lot of Stage 2’s out, but had to discard some excess Rare Candy, and prized her fourth one, so once I started taking consecutive knockouts she had no way of coming back. I think the first game was fairly normal, we both setup our field fairly normally. He got out ahead, which is normal for Plasma, and then when it came to the late game, I just wasn’t able to N him out of what he needed to seal the victory, and I think this game ended up coming down to a sleep flip as well. 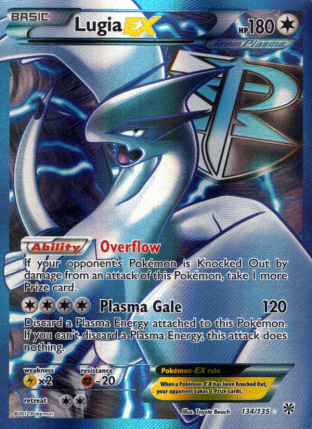 In game 2, I opened without a Supporter, and that went on for a long time, and I just got ran over, as Plasma can quickly end a game with Lugia. In game 1, I play Virbank, Hypnotoxic Laser to poison his Spiritomb and N him. He doesn’t draw a Pokemon and gets Laser donked. In game 2, I’m just able to stream a few OHKO’s with Xerneas EX, and I think I ended up Scramble Switching into a giant Yveltal EX to win the game. This was going to be about as 50/50 of a matchup as there can be. 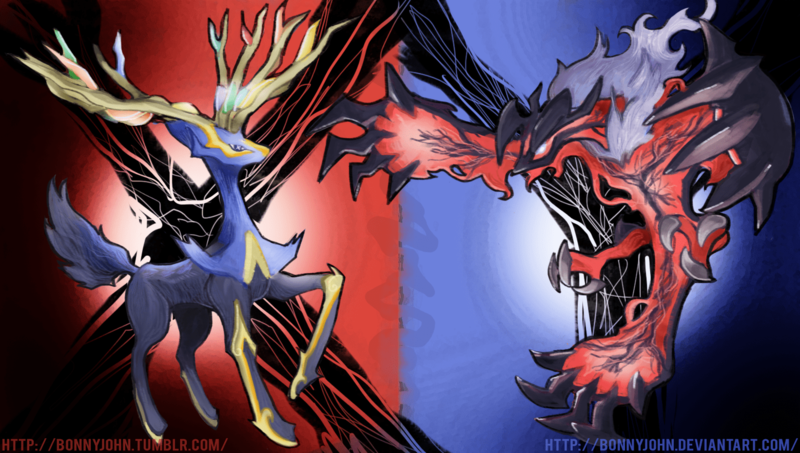 In this matchup, your strategy is to mostly forgo Xerneas EX, however, you want to lead the game with Xerneas EX and setup snipe damage with Breakthrough to make things easier on your other attackers. If they’re stumbling, you can also get some easy KO’s with X-Blast after the snipe. You can’t depend on X-Blast as you can in other matchups as Virizion shuts off Poison. From there, you just want to load up a ton of Energy on Yveltal EX and Mewtwo EX and swing for ohko’s. 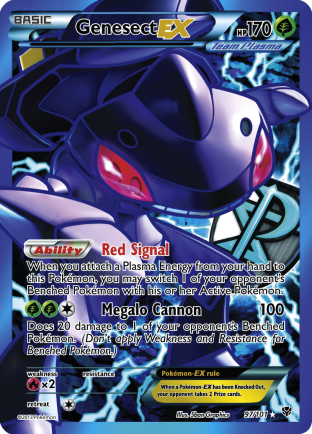 After some KO’s and some N’s, Genesect can end up without attackers with Energy, and then you have them beat. In game 1, I play some Supporters,and draw the most useless hands and end up with no Energy on my field after a few turns and just scoop. In game 2, we both get setup, but he gets G-Booster’ing pretty fast, and I whiff the Energy/Muscle Bands needed to just OHKO the Genesect EX with the G-Booster, and end up losing to that. I had a Spiritomb in the deck a couple weeks ago, which makes Genesect an auto win, but I ended up cutting it, since you can beat Genesect without it, and I didn’t expect Genesect to be too popular. I think it was 3/48 decks, so it wasn’t too represented, and probability said you were more likely not to play it than play it. These games weren’t very interesting. My opponent didn’t get the greatest setups in either game, and my deck finally decided to setup for me. X-Blast is just too good against this deck, and it was difficult for my opponent to stop my continous OHKO’s in both games. Still not sure what to think of the deck. The strategy of accelerate Energy, and then OHKO everything seems logically sound to me, but still the deck felt very clunky, even though it shouldn’t because of it’s simplicity. I did just end up losing a lot of games from not drawing Supporters for most of the game while my opponent did, which is bad luck, but even in games where I had Supporters, I would often whiff the Laser or Muscle Band and just come up short of the OHKO’s that happened so often in testing. Even though the Senior did well with the deck, he felt it to be clunky and uncomfortable as well. I don’t think there is much reason for it to be clunky with its simplicity, but it definitely does seem to be clunky. I think the ideal meta game for this deck is one where Plasma is less played then other areas. 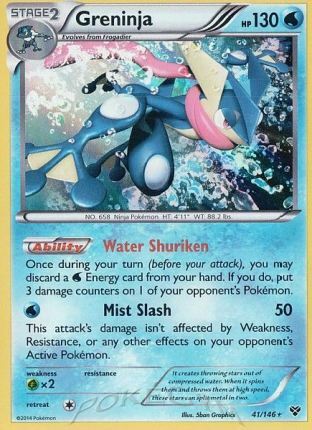 Plasma isn’t unwinnable, but it’s definitely the deck’s worst matchup, just because Deoxys + Muscle Band OHKO’s Xerneas EX with Muscle Band, and Thundurus EX can counter your Yveltal EX. If your meta game is mostly Blastoise/Emboar and Darkrai/Yveltal, then I think this deck has more room to shine as it can easily overpower both of those decks. I probably won’t play the deck again, but if Plasma hate gets going in the next couple weeks resulting in Plasma seeing less play, I think the deck can become a stronger play as States goes on. I’m still at a loss as to whether this deck is actually good or just mediocre however, so make sure to test it and make sure you’re comfortable with it. It obviously tested very well, but it also obviously did very poorly at the tournamnet.